Vitamix vs Ninja Blender Comparison: Which is Better? Whether you’re setting up your wedding registry, looking for a foodie gift, or just want to up your cooking game – you may have asked the question, Vitamix vs Ninja – which is better? It’s basically the Apple vs. Android debate, but for kitchenware. For the last five years, I’ve been a proud owner of a Ninja blender. 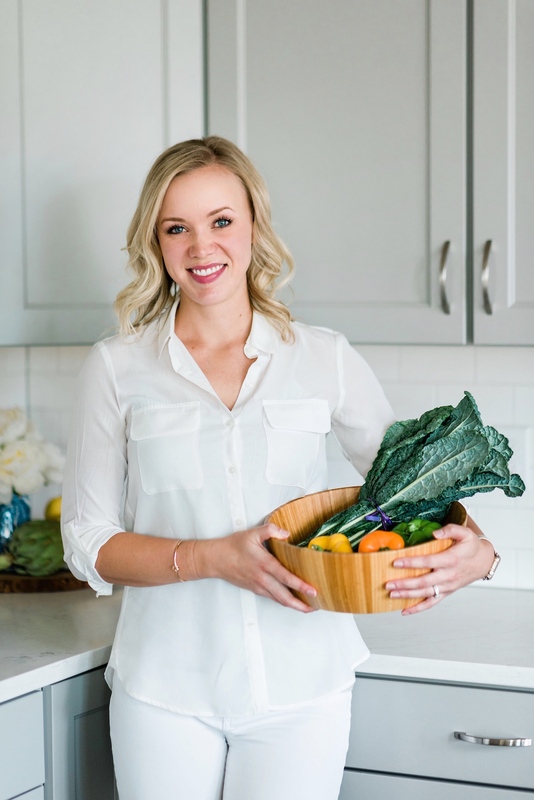 But, with a growing nutrition blog and a long interest in the Vitamix brand, we decided to jump onto the Vitamix train this past year, too! So, since I (ridiculously) own two big blenders now, I decided to give a comprehensive review on the pros and cons of each! Hopefully this blender review will help you decide which one fits your needs the best. A side note: This post contains affiliate links, which means Food Farmacist RD receives a percentage of the sale if you use the link to make your purchase. This does not change the price of the product for you! These are my own, honest opinions. If you’ve ever been to a food conference or state fair, you’ve probably seen the Vitamix demo. WARNING: THE DEMO WILL HYPNOTIZE YOU AND MAKE YOU DO DANGEROUS THINGS WITH YOUR MONEY. JK (kind of). Seriously, though. I hope they pay those people well, because the demo is so fun and interesting to watch. Plus #freesamples, so there’s that. Hmm. Pretty good marketing, and sounds intriguing. So, what are we working with here? There are a lot of different versions of the Vitamix blender. 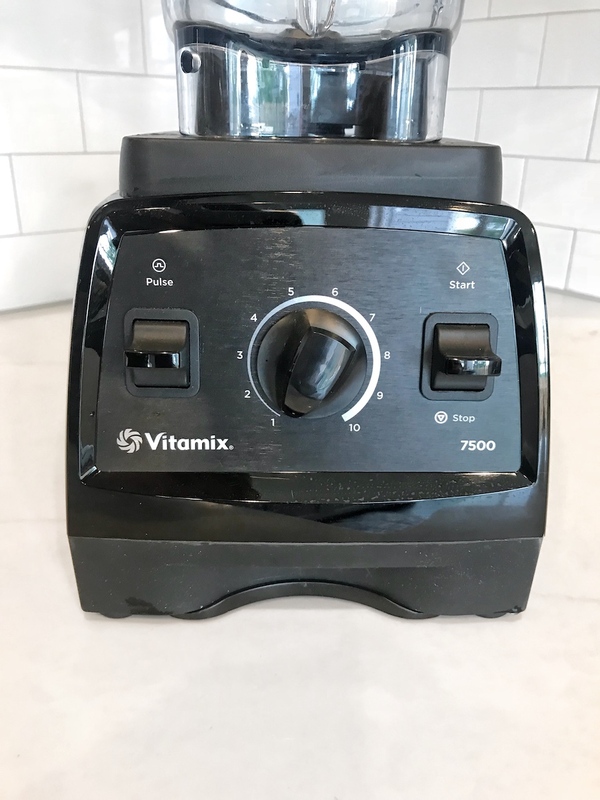 For purposes of this Vitamix vs Ninja review, I’ll be talking about one of the higher end Vitamix blenders – the 7500 Low Profile, Professional Grade, 64 oz Container. But, don’t worry! I’ll still touch upon the other types of both blenders available, too. The Ninja has also made headway into the blender world. In fact, I’m hearing the Ninja blender now calls out Vitamix on their packaging for being too expensive! All is fair in love and blenders, I guess 😆. Ninja has made huge progress in the blender and kitchenware world. They have all sorts of blenders, processors, and even coffee makers now! I can dig it! For the purpose of this Vitamix vs Ninja review, I’ll be talking about the Ninja blender I have now (and have had for almost 5 years), the Ninja Professional Blender, Pro System 1100. The blades of a blender are probably one of the most important aspects. The Vitamix and Ninja have two different blade concepts. For the Vitamix comparison, their blades are all low-profile, stainless steel blades. Vitamix argues that these blades can handle the toughest ingredients, which I can attest to as well. I’ve literally dumped a half of a cucumber and a half a lemon with the peel in here, and it had no problem blending it right up. This goes for harder ingredients, like nuts, too. The blade is connected to the container. To clean it, I usually pour some water with a bit of soap in the blender, secure the lid and blend away until clean. I’ve had no problems cleaning the blade, so far. The Ninja blender has a very different type of blade, which they call a stacked blade. 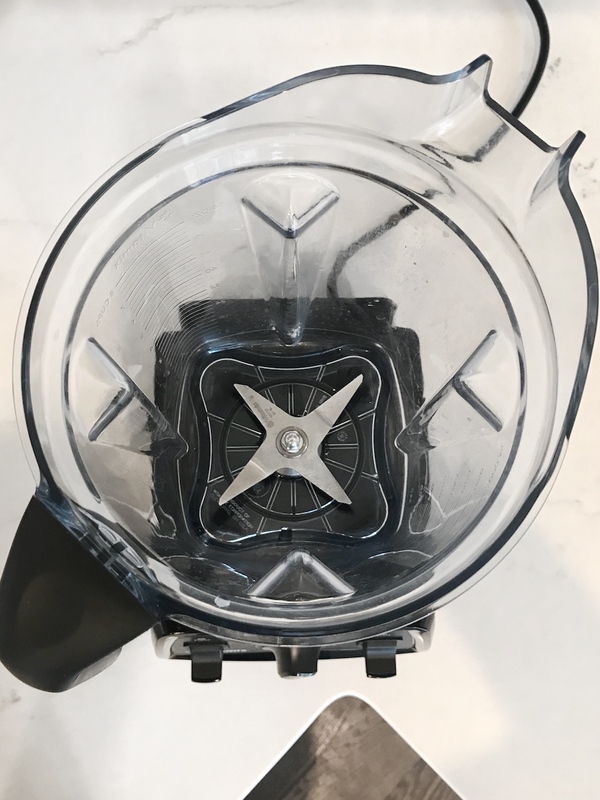 The blade goes up the length of the blender, which Ninja argues creates “maximum contact with tough ingredients like stems and seeds for the best possible results”. A stacked blade does help get the top ingredients chopped up pretty well. I’ve made homemade almond butter in my Ninja with the stacked blade, and it had no problem handling that! The downside to a removable, stacked blade is that, well, it’s a b*tch to clean! Similar to the Vitamix, you can also dump water and soap into the Ninja and blend. However, I’ve found that the Ninja blade has many crevices that you have to manually scrape clean, which drives my OCD tendencies crazy. 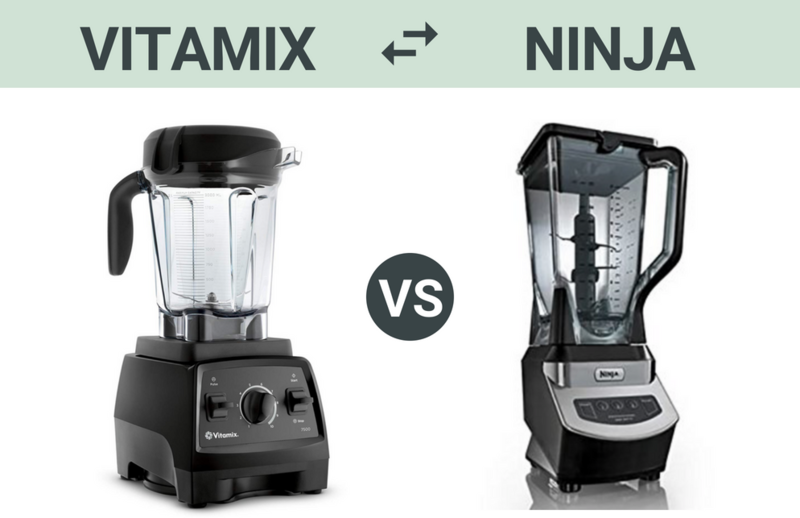 Vitamix vs Ninja Blade Comparison: Who takes the pot? Vitamix wins the blade section, in my opinion. Despite being a low-profile blade, the Vitamix blades are super powerful and have no problem blending the top ingredients. The cleaning ease of the Vitamix blade also wins me over for convenience and time-saving reasons. I must point out, though, that Ninja has now come out with a Ninja Chef blender, which ALSO has a low profile blade, like the Vitamix. I haven’t tried this model, but I would assume that it would work pretty similarly to Vitamix. Cost is a big determining factor when it comes to these types of blenders. And for Vitamix vs Ninja, there’s a pretty big difference! Vitamix is the more costly brand of the two, with blender prices ranging anywhere from $219 (Vitamix Certified Reconditioned) to $619 (Vitamix A3500). The Certified Reconditioned Vitamix blenders are the most affordable for this brand. 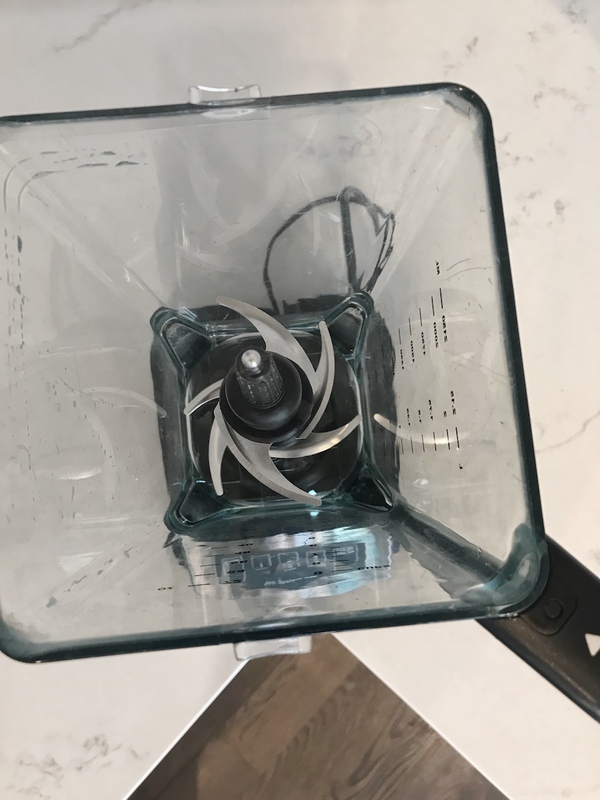 These blenders are either customer returns or lightly used demonstration models, which pass a “rigorous inspection process” per the explanation on the Vitamix website. Any part that does not pass their 17-point checklist (like a lid, for example) gets replaced with a brand new part. The 64-ounce blender listed above (that I have) is listed at $529.99 at the time of writing this post. However, we bought ours on Prime Days, so we got a bit of a discount! 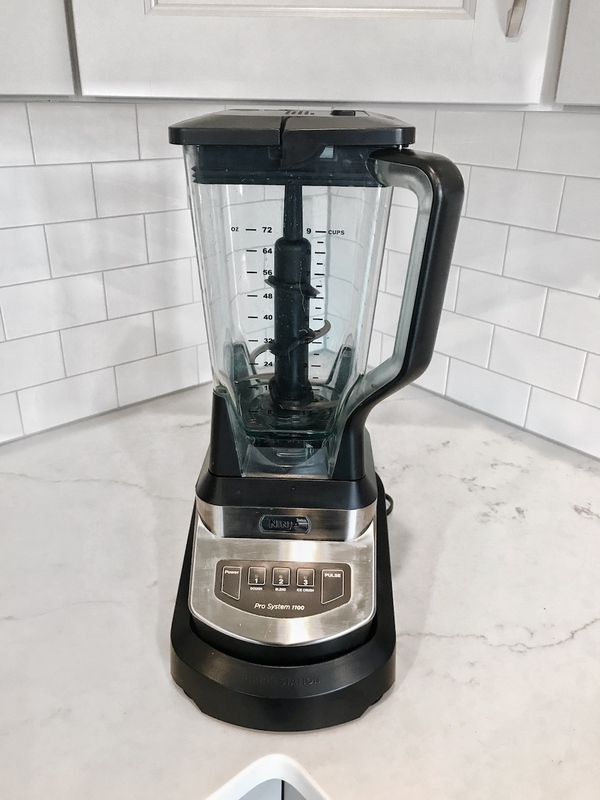 Vitamix blenders come with either a 5-Year, 7-Year, or 10-Year warranty, which covers all aspects of the blender, except for self-caused damage, of course. You can read more about Vitamix warranties here. 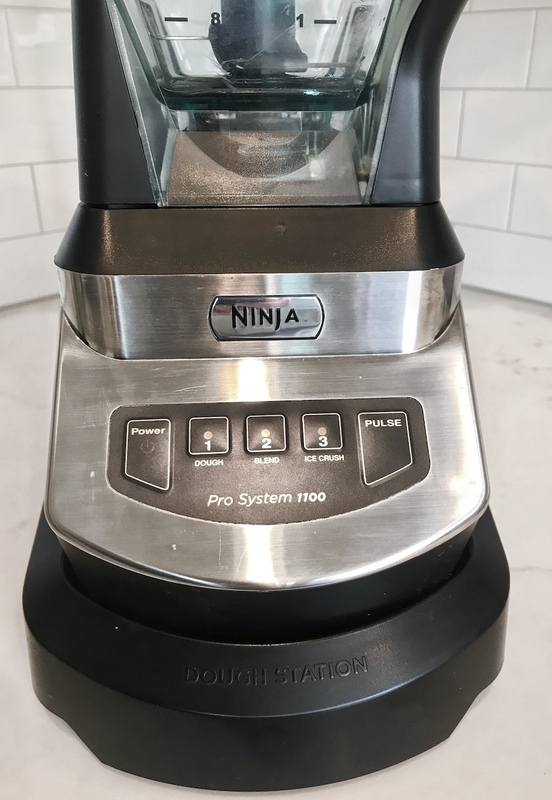 The Ninja blenders are significantly lower in price, ranging from $59 (Ninja Certified Refurbished) to $199 (Ninja Chef Professional). There are a few Ninja products that go up to the 200’s, but these include a lot of accessories, so were not included in the comparison. The top-shelf Ninja Chef blender looks similar to my 7500 Vitamix Blender, in the fact that it is the only Ninja blender with a low-profile blade. But, the Ninja Chef saves you almost $350 bucks, so that’s definitely worth considering! Something has to give with a cut in cost, right? Unlike the extended Vitamix warranties, most Ninja blenders only come with a 1-year warranty. However, it looks like you can purchase some higher warranties according to their website. Vitamix vs Ninja Cost Comparison: Who takes the pot? Ninja takes this one when it comes to cost overall. The significant ($350+) in savings from purchasing even the highest grade Ninja blender cannot be ignored. 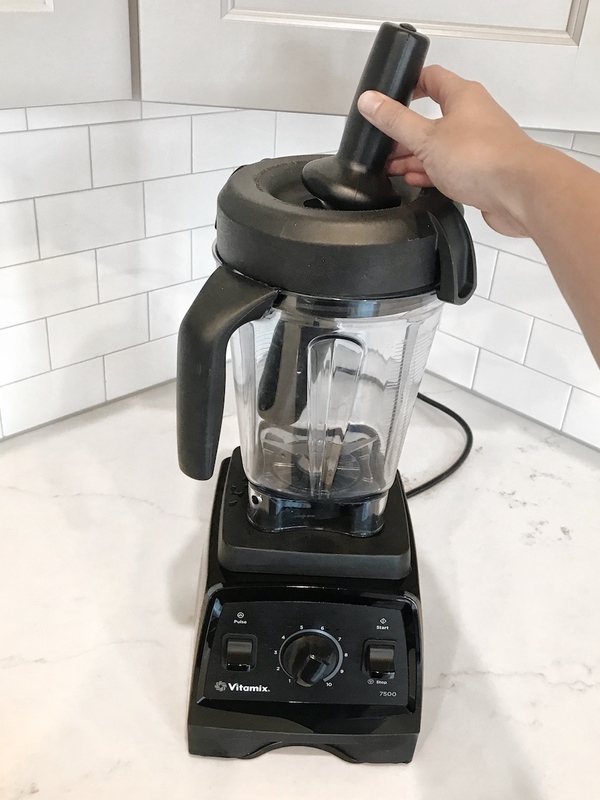 It’s important to note that most Vitamix blenders do come with extended 7 or 10 year warranties, so you may be more protected from damage with Vitamix. However, I have had my current Ninja for almost 5 years, with very few problems. Just in the past year, the connection of my Ninja blender wasn’t as secure, so it would occasionally stop mid-blend and I would have to manually hold the container to finish blending. How functional are these top notch blenders? Let’s take a deeper look. The Vitamix blender base is pretty straight forward on this model. It has an adjustable speed control, which is nice for when you have large chunky items that you need to slowly chop before blending into a juice or smoothie. It also has a pulse option if you just want to simply chop. The Vitamix base is very sturdy, and does not move when blending. It’s also relatively easy to slide back and forth when putting it under the cabinet. The Ninja blender base is also very straight forward for this model. Although I’ve never used the “dough” function, the ice crush and blend options work well. There is no speed control, however. You can also pulse/chop on the Ninja. The base of the Ninja blender isn’t as secure as the Vitamix, and it does move a bit when blending. That’s why they also often give you the holding base as seen in the picture below. The Ninja easily fits into the base, which is secured by suction cups to the counter top. 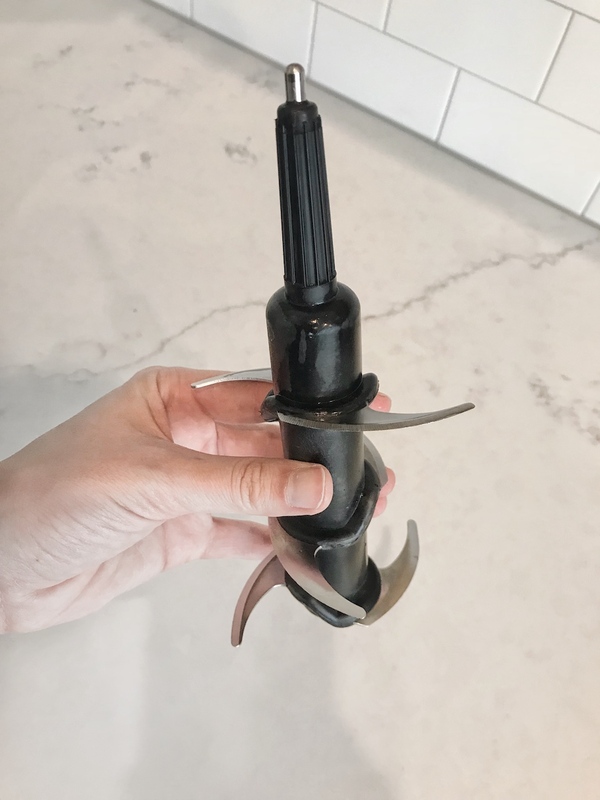 However, the suction cups do make it impossible to slide the blender back and forth, and it takes some gusto to pull it off (#firstworldproblems, I know 😆). 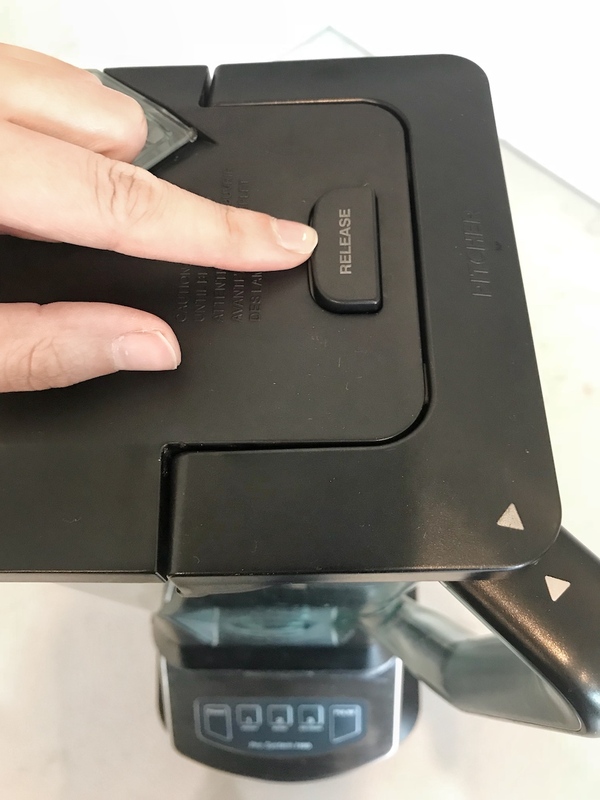 The Vitamix lid is straight forward and easy to secure. It has a little hole in the middle meant for venting or adding more ingredients. The blender comes with a “plug” for the hole. You also get a “tamper” that helps push ingredients down from the edges of the container towards the blade. I’ve only used the tamper a few times so far, but it is very helpful for things like homemade nut butter and sorbet! The Ninja lid is a little more secure, and requires matching two arrows together and pushing down until it clicks. Sometimes it can be a little “adult proof” when guests are using it for the first time! In order to pop the top off of the Ninja, you have to press a “release” button. The secureness of the Ninja lid is a plus for some, but I don’t know if it is completely necessary. For the purpose of this Ninja blender review, however, it does make me feel more comfortable blending things at very high speeds! Ninja Blender Reviews – Matching arrows and a release button increase the secureness of the blender. 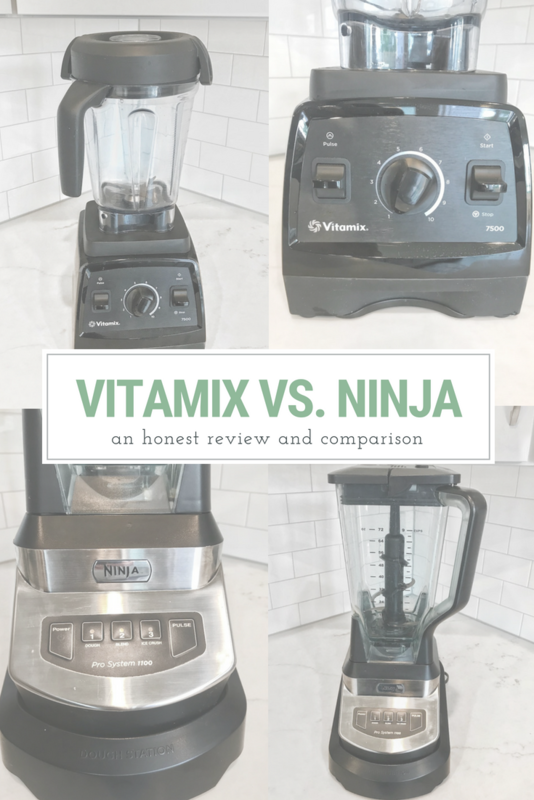 Vitamix vs Ninja Functionality Comparison: Who takes the pot? I think it’s a tie on this one. I like the controllable speeds on the Vitamix base. However, I do think the more secure nature of the Ninja lid is a plus, especially when blending at very high speeds! Last but not least! One of the most important aspects of a good quality blender is that it fits your blending needs. As another reminder to my disclaimer, I have one of the higher models for Vitamix, and one of the lower models for Ninja. So, it’s not necessarily comparing apples to apples here. But it’s what we have to work with! 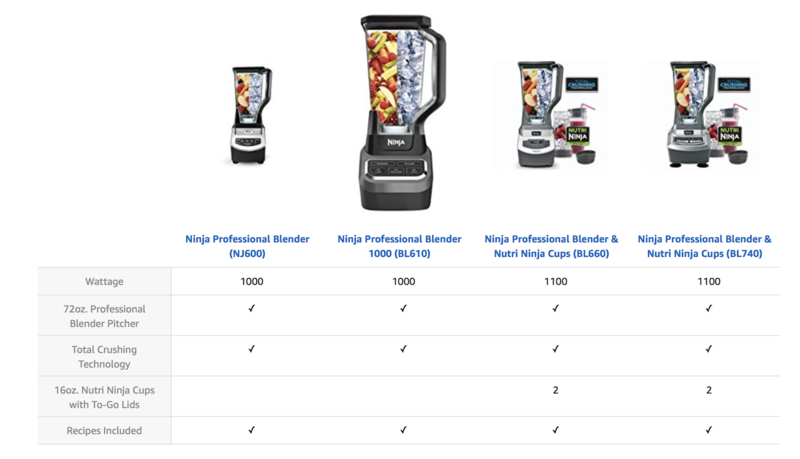 Of note, Ninja does have a higher end blender – Ninja Chef, that looks very similar to Vitamix, has a low profile blade, and good online reviews. For a much cheaper price, too! I just can’t speak personally to that model. The marketing for Vitamix as “more than a margarita blender” is pretty accurate. The power of my Vitamix blender (7500 Low Profile, Professional Grade) is unmatched. I can throw in barely halved fruits and veggies with no issues. It also blends sauces into a more finer consistency. I’ve made soups, dressings, and sorbet desserts as well! If you are a foodie (or looking for a gift for a fellow foodie), you won’t be disappointed! 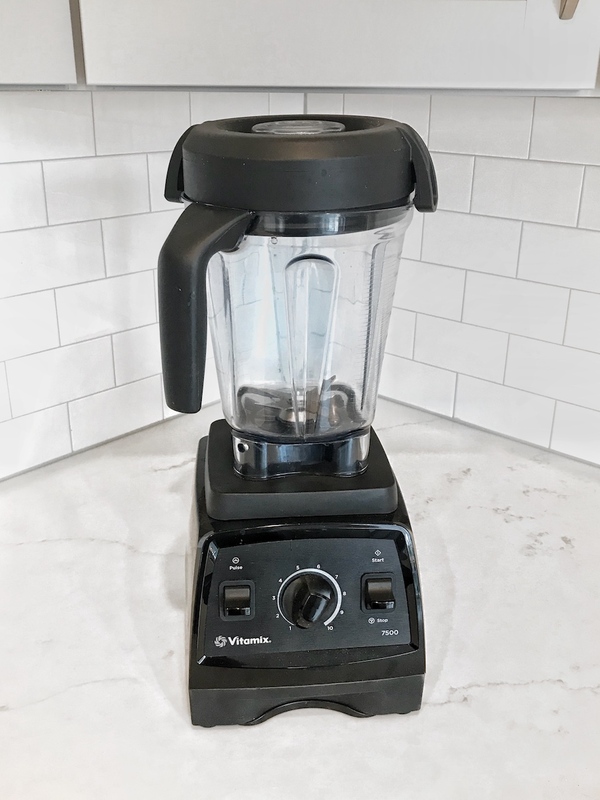 The one downside to this Vitamix comparison and very powerful blender is somewhat ironic – it is SO powerful. Like, trip an electrical circuit in your kitchen powerful. 🙈 Yep, I definitely tripped our circuit the first time I tried to make soup in the Vitamix. Soups blend and heat up right in the Vitamix container for 4-5 minutes, so it was likely too much for my kitchen circuits that had other appliances running as well. While it was an easy fix to switch back the breaker box, it’s still an important factor to consider! It also may vary from house to house – note that I have never had an issue blending regular smoothies, sauces, or nut butter so far. The Ninja model blends great too. I’ve also made countless smoothies, sauces, and nut butters in my own 5-year old Ninja. While this particular model (Ninja Professional Blender, Pro System 1100) may not blend things to as fine of consistency as the higher end Vitamix, it definitely gets the job done! Plus, it’s lasted me at least 5 years with very little problems. The one side note is that you do have to chop up ingredients a little more in order for the Ninja blenders to properly blend it together. Many people don’t want to make fancy schmancy things in their blender, and that’s cool too! If you’re a margarita type of gal (or guy) and just want a reliable blender for your summer frozen margs, then this is the right blender for you, my friend! Vitamix vs Ninja Blender Comparison: Who takes the pot? It really depends on what you want it for! I’m a huge fan of cooking and experimenting in the kitchen, so I would place my vote for the Vitamix in regards to overall blending capabilities. But, I lasted many years using my Ninja for many of my cooking adventures, so it can also be an option for a person who may not use the blender every day, but wants a dependable model. 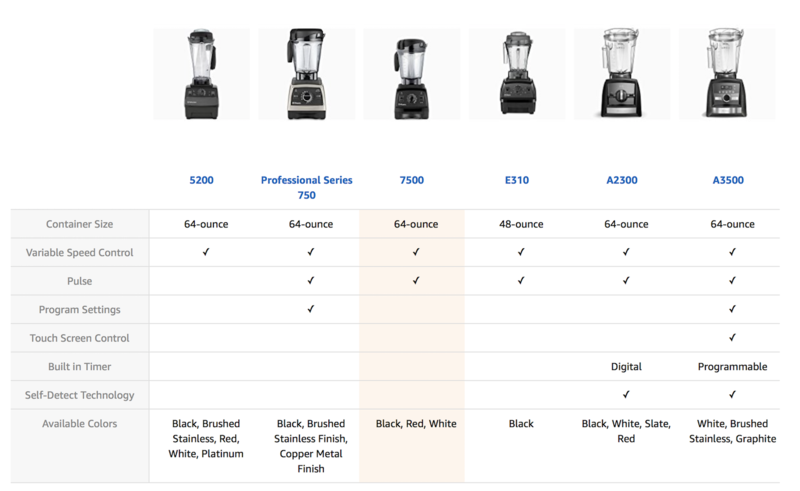 There you have it folks, a broken down Vitamix vs Ninja blender comparison to help you decide which purchase you should make! Let’s quickly sum up our findings. Powerful low-profile blade that allows for more volume in the container. Easy to control speed dial to slowly increase speeds on various blends. Provided “tamper” that allows you to push solid foods back towards blender for a faster, smoother and more uniform blending. Creates finer consistency of many products and does not require much pre-chopping. More expensive than most other blenders. May be unnecessary for someone who doesn’t cook or experiment much with foods/recipes. More affordable cost for even the top level blender Ninja Chef. Secure lid that prevents any unwanted kitchen messes or blow outs. Can meet most smoothie and margarita blending needs. Requires more chopping before blending. Doesn’t blend sauces and finer consistencies as well. Are you #teamVitamix or #teamNinja? Let me know your experiences below in the comments!